Additional Information Very pretty and unique watch, with diamond front and back bezel, roman numerals and hands filled with diamonds. Pearl crown. Inside case back has December 25, 1940 inscription. 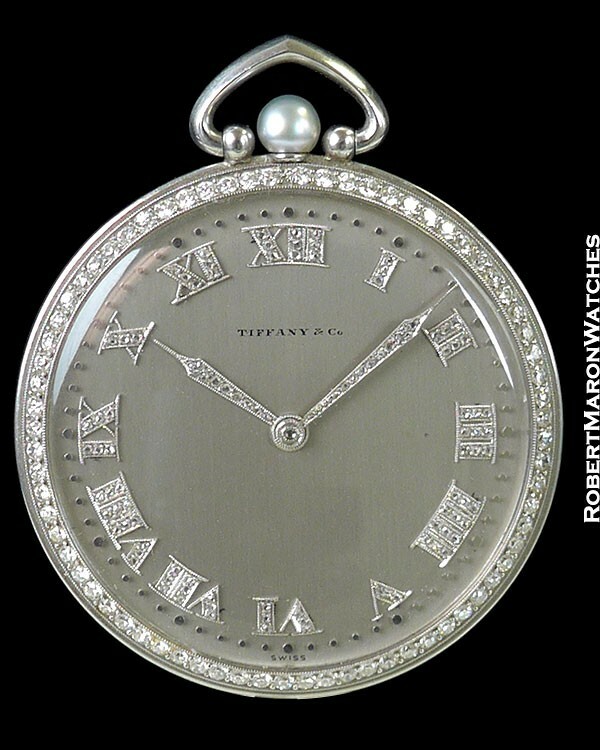 Here is an especially rare and great looking pocket watch from Tiffany & Co., guaranteed original, with highly unusual pearl crown, with diamond bezel and diamond set Roman numerals and even diamond set hands. 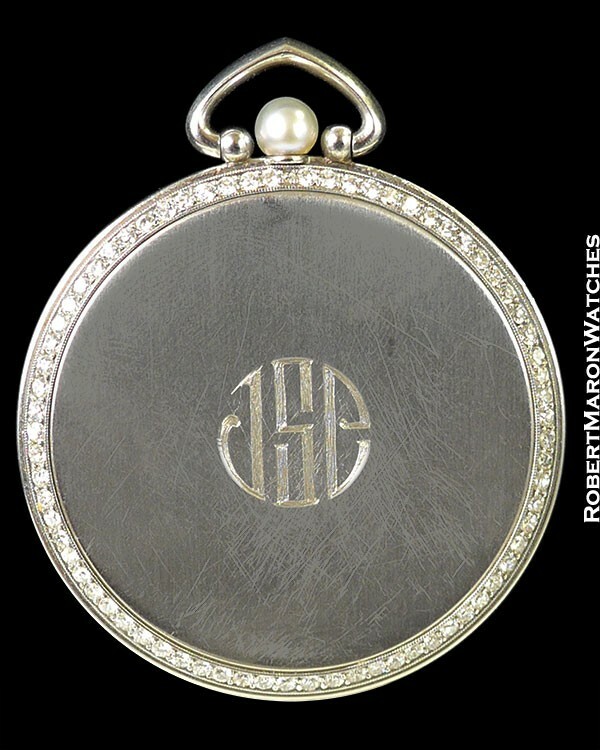 The rear of the 45mm platinum case also has diamonds inset around its bezel and a personalized engraving with initials. 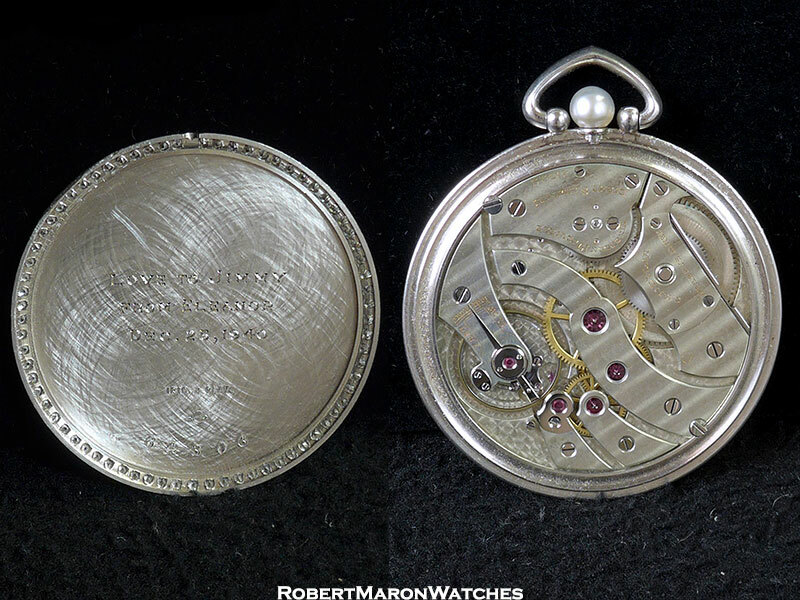 This 1940 watch is in mint running condition. Movement is a manual winding C.H. Meylan caliber with 18 jewels. Inside case back has a personalized engraving dated December 25, 1940.